Typically, line serves a prefatory role in the creation of a two-dimensional work of art. 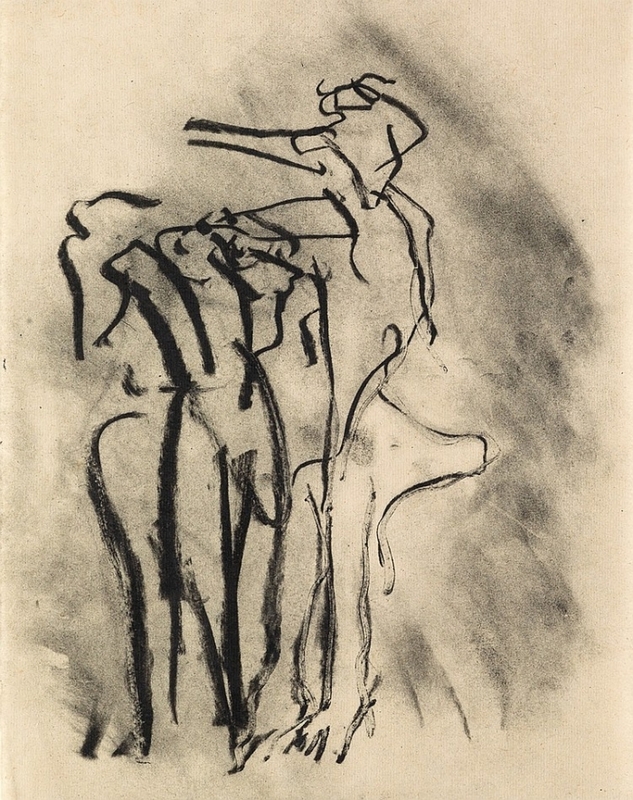 A line on a page initiates the realization of a form, figure, or idea only to be absorbed into a larger “whole.” Works in this exhibition push line to the vanguard, allowing the mark to retain and assert its own identity. 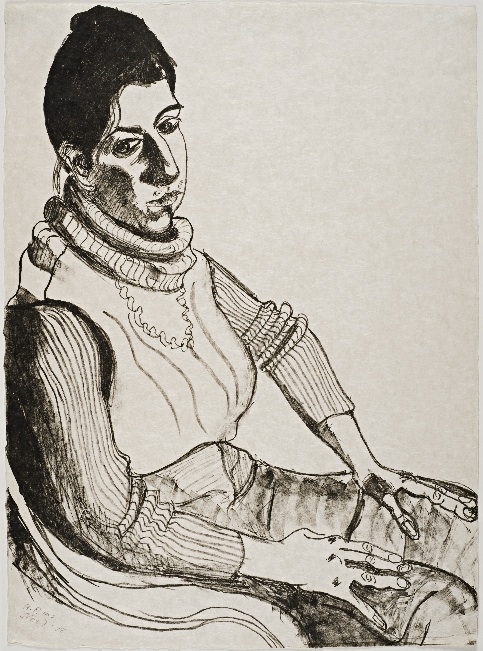 The encounter with line may be immediate (does one reckon with line before the human figure in Alice Neel’s portrait of master printmaker Judith Solodkin?) 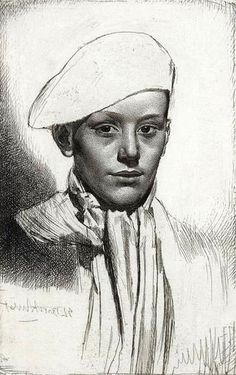 or may crown the viewing experience (boyish charm and chiaroscuro may initially seize the eye, but is not the close inspection of the etched line the payoff in Gerald Brockhurst’s Cypriano?). In either scenario, line stands as chief within the image. The phrase “opening line” refers to an introduction of a larger work, or at the very least implies subsequent information. Many of the works in this exhibition could be presumed unfinished, omitting bits of information that could conceivably be included. This trait is a literal line left open, to which closure is deferred to the viewer. An image constructed by these means is an invitation (a beckoning!) to follow, to participate, to open.